No need for the hussle and bussle of other tour companies who make you spend all day with them just to go to Alcatraz. Relax with our easy going Alcatraz and lunch offer! A comfortable area to sit and relax with friends for lunch prior to your Alcatraz visit. Your day starts with a $15 food credit to a preselected casual dining restaurant in Fisherman's Wharf. 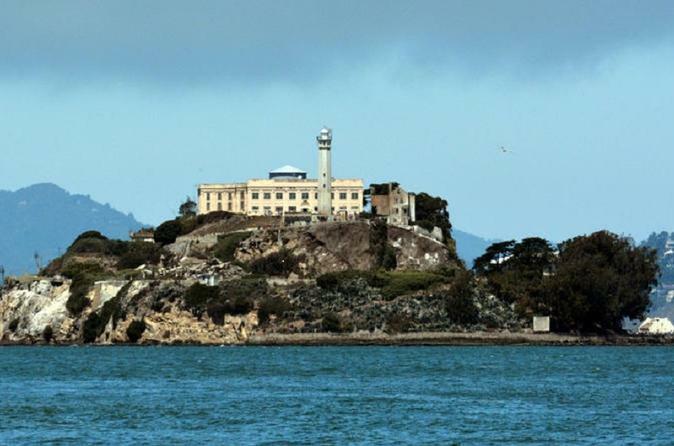 Enjoy lunch on your own schedule and relax before your Alcatraz departure. Our area Wharf vendors will randomly be selected (see voucher for your date vendor). The vendor that sends the vouchers to us will be the only restaurant you may redeem at. Guests will be required to pay the difference between their credit and the table bill total. $15 food credit towards Wharf restaurant of this tour operators choice. No substitutions. Alcatraz portion provided by a third party company as a package. Restaurant of choice is only the food provider and does not handle any guest service issues on this package. NOTE: We do not accept any requests for food (i.e Vegan/kosher/etc) and is subject only to whatever is on the menu. We will not offer refunds for any requests or items not on the menu.